Order books opened today for the Harley-Davidson Livewire electric motorbike, with first deliveries set to begin in autumn 2019. Pricing starts at £28,995. The American company are expecting strong initial interest and given they are offering limited numbers to start with, potential buyers are urged to move quickly to secure one of the first bikes. Steve Lambert, Harley-Davidson International Marketing Director: "We’ve had an unprecedented level of interest in the bike with so many people wanting to be first to get their hands on it. We’re looking forward to delivering the new LiveWire to those lucky owners in autumn. As well as the finished production bike due out next year, there will also be an expanded range of lower powered bikes to act a stepping-stone into the brand. "We’re going big into electric with a family of products that’s going to range in size, power and price point," says Michelle Kumbier, Chief Operating Officer at Harley-Davidson. "They’re going to be easy to ride, ‘twist and go’ and be less intimidating for new customers. "We did the Livewire tour, we put thousands of customers on those vehicles and the feedback as that this was awesome. "People had no idea how fun it would be. We plan on having demo models in dealers so people can try it and when they ride it, they will fall in love with it." The crown jewel in Harley’s new electric movement will be the Livewire. Described by H-D as high powered and performance focused, the Livewire is expected to be a premium product with a price to match. Harley wouldn’t be drawn on power or range figures, only saying that consumers won’t be concerned by either when the bike is available in dealers in 2019. Alongside the Livewire will be two middleweight bikes that will arrive between 2021-2022. These will be smaller, lighter and lowered powered bikes but you will still need a proper motorcycle licence to ride them. Again there were no prices suggested but Kumbier did say they would be more affordable than the Livewire. Harley will also produce some smaller lightweight urban bikes that are designed to be an introduction to the Harley brand for non-bikers. 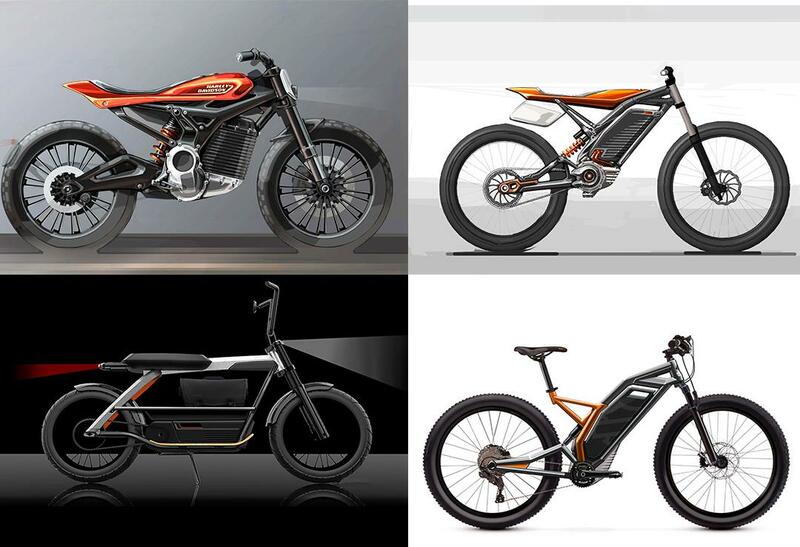 Aimed at the urban mobility segment, they will be like high-powered mountain bikes with two models initially. "We’re so excited for electric," adds Kumbier. "This is just the beginning."